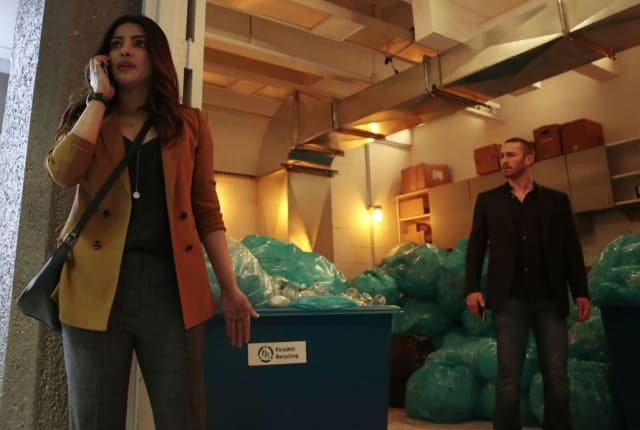 Watch Quantico Season 2 Episode 20 online via TV Fanatic with over 7 options to watch the Quantico S2E20 full episode. Affiliates with free and paid streaming include Amazon, iTunes, Vudu, Netflix, YouTube Purchase, Google Play, and Verizon On Demand. On Quantico Season 2 Episode 20, the collaborators ask Alex to get the intelligence community on board with Roarke's plan, and the task force works on destroying Roarke. You know when I talk to Alex, she's a lot less judgmental. Permalink: You know when I talk to Alex, she's a lot less judgmental. Claire Haas: Polls only exist so the media has something to talk about. They're not real. Clay: You're quoting me to me? Permalink: You're quoting me to me?